Prepare to have your timbers shivered as Microgamings’ Loose Cannon pokie hits the high seas at the numerous online casinos which feature their extensive range. 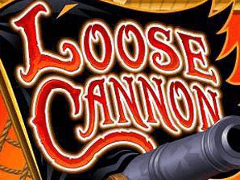 Loose Cannon, in case it’s not obvious already, is themed around pirates, and comes complete with a treasure trove of extras such as stacked wild symbols that can be fired across the reels, a free spins game and a layout that does without paylines and instead features 243 Ways to Win. It’s far from the only pirate based pokie going, as this seems to be one of the most popular themes around, but if it’s what players are looking for then they should certainly give this one a go. This colourful game has symbols that are all related to the piratey theme and are presented in a quality cartoon style. So we find crossed pistols, a crab and rum, treasure maps, a monkey with a cannonball and pirate wench along with the pirate captain and a couple of bonus symbols that trigger the extra features, all of which gives this game a nice appearance which will appeal to a wide range of players. The bet range of 0.30 to 45.00 should appeal to most people as well, only ruling out the smallest of budgets and the highest of high rollers. Instead of symbols having to land across fixed paylines, the 243 Ways to Win system means that any time 3 or more of the same one lands on adjacent reels, running from the one on the left side, a winning combination is created. A suitably nautical image of the deck and rigging of the ship, with an ocean view behind serves as the backdrop to the reels, which are themselves edged with rope to add to the overall effect. 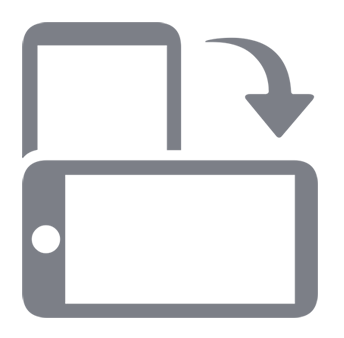 The pistols, rum, treasure and a map are the lower value symbols, with the monkey, wench, pirate and game logo being the higher value ones. Each time symbols are part of a win they become animated, with the crab next to the rum bottle doing a little dance, and a knife being thrown at the ‘X’ on the map for example. To add variety to the run of play, most pokies throw in a couple of symbols that trigger bonuses, and Loose Cannon is no exception, with a wild that will act as any other except the scatter symbol, to help complete winning lines. To boost the odds of players getting a win even more, it will be stacked several high when it lands on the middle reel, potentially completing several combinations at once, while it can also trigger the Wild Stack bonus. In this feature, the cannons will fire extra wilds across the reels and it’s possible, if the player is very lucky, to get all 15 positions covered in them which will obviously lead to a massive win. It’s more likely however, that only a few extra wilds will appear, but some is better than none and this can be quite a lucrative bonus. An octopus on top of a compass is the scatter symbol and when it lands on reels 1, 3 and 5 at the same time, it will initially pay out a scatter win and then trigger 15 free spins. During the free spins, wins pay left to right, as in the base game, but also right to left, which should in theory double the frequency of landing a winning combination. There’s no multiplier attached to any wins in the free spins round, but they can be re-triggered if more scatters land in the right places, with a further 15 tacked on to any still left to play out. Will it Have Players Hooked? Loose Cannon is certainly a good looking pokie and comes complete with a couple of decent bonus features. The stacked wilds seem to land pretty frequently although the cannons firing extra wilds are not guaranteed and even when they are launched, it’s not a certainty that winning lines will be created. The other bonus round is a little trickier to trigger, but should prove to be quite rewarding with on average double the number of winning spins, although even these are not absolutely guaranteed. Some players may also have liked to see a gamble round included, but as these tend to be fairly good ways of losing money rather than winning it, perhaps it’s better left out. Overall then, it’s an attractive pokie with some nice design touches to it, and decent, if not spectacular bonuses to enjoy.